If your company website has a blog, you likely already know that regular content development is important for search engine optimization (SEO). But simply writing new blogs and posting them to your site isn’t enough—you must have a solid understanding of the needs and pain points of your target market, or your buyer personas. To convert website visitors into leads, your content needs to speak to your audience according to where they are in their decision-making process—a process that’s also known as the buyer’s journey. It’s common for businesses to make their content marketing efforts all about themselves, their products, and their services. This makes sense—traditional marketing methods are all about demonstrating what makes your product great and what sets it apart from your competitors. But inbound marketing uses a different approach. Inbound marketing is all about building relationships with your audience well before they’re ready to make a purchase decision. That way, when they’re finally ready to decide, they already know who you are and what you have to offer—hopefully, this makes their decision a no-brainer. So how do they get to know you before they’re ready to purchase? This is where your content marketing strategy comes in. If you understand your customers, it should be fairly easy to develop content that speaks to their needs in each stage of the buyer’s journey. Before we review the buyer’s journey, let’s make sure we understand your buyer personas. Your buyer personas are fictional representations of your customers. What kind of career do they have? What is their socioeconomic status? What is their preferred communication style? Phone or email? How do they like to receive and process information? What are their goals as related to your products or services? What are their challenges and perceived obstacles? How can you overcome these obstacles? It may feel silly to write out a buyer profile in this much detail, but having a clear idea of your ideal customer in mind as you develop your content will help you tailor your content to the needs of your audience. 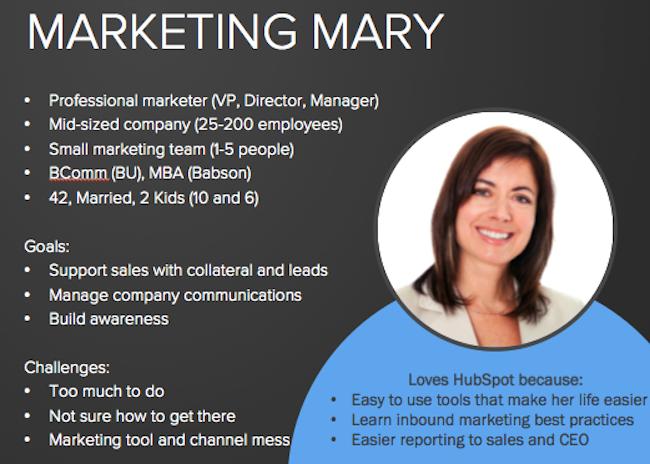 You can also try a tool such as HubSpot’s persona generator. Don’t be afraid to get specific. A common mistake in content marketing is the idea that blogs and other content should be broad enough to appeal to anyone. But specificity is powerful. When your readers see themselves and their needs reflected in your content, they will understand—consciously or subconsciously—that your company understands their needs. Now that you know to whom you’re gearing your content, you can start developing content that speaks to their needs. Each piece of content you develop will fall into one of the stages of the buyer’s journey: awareness, consideration, or decision. It’s important to make sure your content strategy includes all three, but in varying degrees of representation. When it comes to targeting your content for different stages of the buyer’s journey, it’s the topic that matters, not the format. Blog posts, e-books, whitepapers, webinars, videos, and infographics can fall into all of the various stages, depending on the questions your content answers or the problems it helps to solve. Someone in the awareness stage is just starting their research. They’re aware they have a need or a problem, and they’re starting to look for an answer or a solution. It’s important not to be pushy at this stage. At least half of your website visitors are likely to be qualified leads who aren’t yet ready to make a decision. If you’re too pushy, you risk driving them away. We’ve all experienced it—the overly pushy salesman who tries to get you to buy a new TV when you’ve just started looking. Don’t be that guy. Let your readers gather information and do their research. If you execute your inbound marketing strategy correctly, your website will give them ways of staying engaged so that you can nurture the lead through the rest of the buyer’s journey. 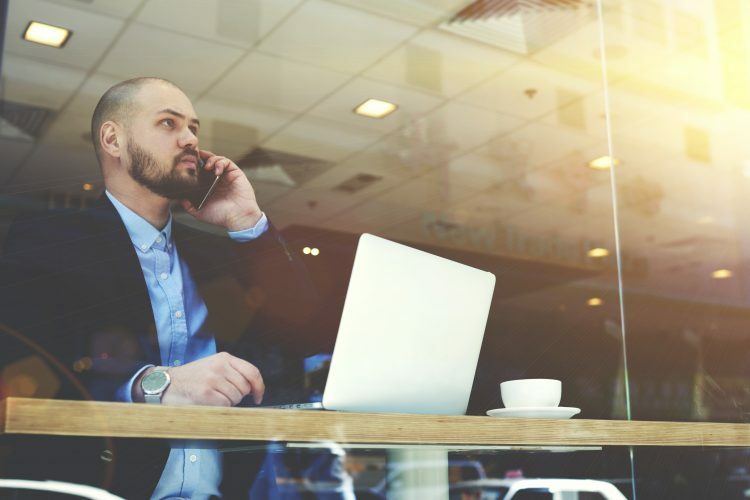 The amount of time that someone spends in the awareness stage can vary widely depending on your industry, the urgency of their need, and the cost associated with the solution. For example, someone wanting to lose weight may explore numerous options before deciding to sign up for a medical weight-loss program. But someone who has been injured in a car accident may make the decision to contact a personal injury attorney very quickly. Make sure you understand the length of the sales cycle in your industry so you can give your audience enough time to move through the sales cycle. 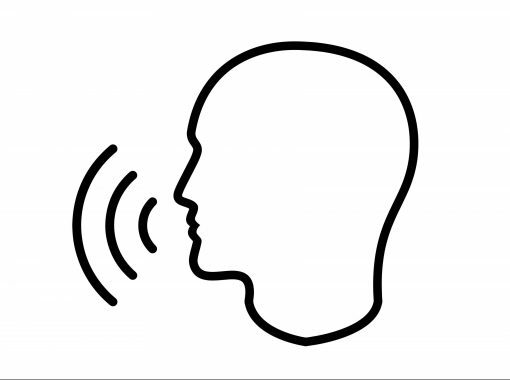 Awareness stage content should help readers come to a better understanding of their problem and present them with different ways to take action. Let’s return to the example of a weight-loss clinic. At this stage, your readers may not have considered the option of enrolling in a medical weight-loss program. They may simply be looking for tips on losing weight. So your awareness stage content would include information of this nature. Give your readers some expert advice on diet and fitness tips that can help solve their problem. It’s always best if you can provide your own unique insights and expert advice to set your content apart from others. At this point, you may be thinking, wait—I don’t want to give away all my secrets. I want people to sign up for my program. This is a common objection when it comes to content marketing. There will always be people who are motivated enough to solve their problems on their own with just a little advice. These are not your target customers. Your target customers are the people who are ready to put in the work but need a more structured program, more external accountability, or a little more expert help with their individual needs. Five small diet changes that add up to big results. Ten ways you’re sabotaging your weight-loss efforts without realizing it. Strength training or cardio: which is more important for weight loss? The awareness stage is a great place to offer lead magnets in the form of e-books, free webinars, or other types of long-form content. 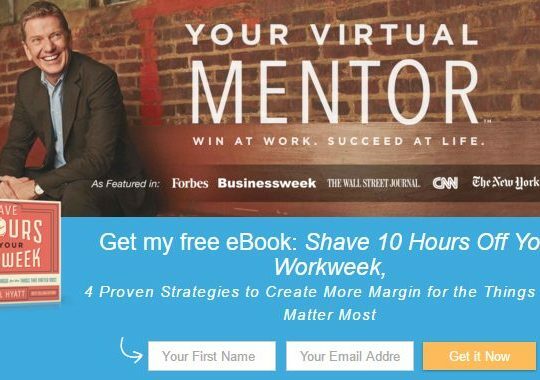 The goal of these lead magnets is to provide something of value to your readers, so they download your e-book or sign up for your webinar, thereby enabling you to enter them into a lead-nurturing workflow. Now your reader has moved into the consideration stage. They’re aware of the nature of their problem and they’re considering different approaches to solve it. In the case of the person looking to lose weight, these options may include joining a commercial weight-loss program like Weight Watchers or simply joining a gym. Your job at this stage is to demonstrate the benefits and advantages of the solution you offer. They still aren’t ready to decide, so don’t yet jump into the sales pitch. Keep it more general in nature. This isn’t the place to start talking about your success rate and your staff’s experience. Instead, discuss the advantages of working with a medically-managed weight-loss program. Maybe your clinic offers lab work to help identify hormone imbalances that can contribute to weight gain. Maybe you offer DNA testing that helps identify genetic variants that can affect metabolism. These are advantages that your readers won’t get from commercial weight-loss programs that focus more on one-size-fits-all approaches. Within your blog posts, you can mention that you offer these services and that they’ve helped many patients lose weight—just refrain from turning it into a sales pitch. Six ways your genetics influence your weight. Five hormone imbalances that can make weight-loss difficult. Why you should have your vitamin D levels checked trying to lose weight. The final stage of the buyer’s journey is the decision stage. Very little of your content will fall into this stage. At this point, your reader has decided that the type of product or service you offer is the best option to meet their needs. Now you can talk about what sets you apart from your competitors. You can mention your experience in your industry, provide case studies, and offer comparison charts that highlight your key differentiators, benefits, and cost. Testimonials from previous clients or patients, before and after photos, free trials, or product demos may all make sense for this stage depending on your industry. Make this information easy to find on your website, but again, don’t be pushy with it, and don’t assume all site visitors will be interested in it before they’re ready. 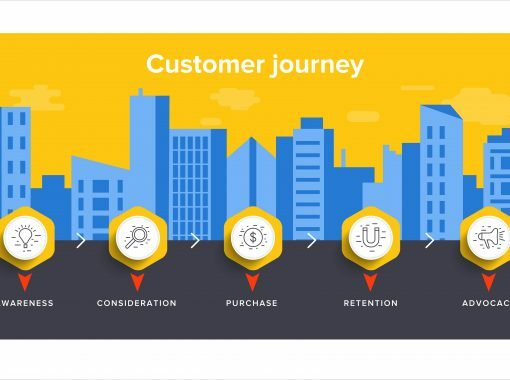 When planning your blog posts and longer-form lead magnets, make sure all these stages of the buyer’s journey are represented. Use your awareness stage lead magnets to encourage engagement and guide your leads through the subsequent stages, then let your content strategy do the work for you! But remember, content marketing isn’t something that is ever finished. Changes in your industry, new research, advances in technology, or new offerings from competitors can all influence your content marketing strategy. Make sure you’re regularly evaluating your content’s effectiveness and making adjustments as necessary to increase organic traffic and conversion rates. She is the Director of Content for a medical marketing agency, and is certified in inbound marketing, content marketing, email marketing, site structure, and keyword research.